Yep, the music Marathon has begun. In case you do not know about the Brande’s annual Music Marathon: Each year right after after Christmas we begin to play every album (and every song that we own) all the way through, one time. No Repeats until we are finished. Each album has a story attached to it that brings back a memory from the past. 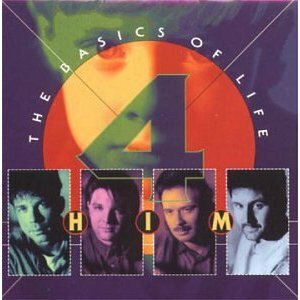 For instance: right now we are listening to “The Basics of Life”. you guessed it… the group was 4Him. I think this all happened in the spring of 1992 and the purpose of the camping trip had something to do with planning their wedding… I also think this is where I met Mr. and Mrs Lott for the first time (His Fiance’s parents)… not sure on these details… so don’t quote this paragraph until further notice. As worthless as this information is, its still a cool memory for me. As we close out 2011, what do you do to remember things that have happened in your life? Awesome memories Phillip!! I attended 4-HIM’s very first concert at 1st Baptist Starkville Mississippi 1990. Love that group! Thanks for the trip down memory lane. That was an awesome camping trip. You were the one to “break the ice” around the campfire in helping me ask for Tracy’s hand in marriage by stating the obvious, “Now don’t you have something you would like to say?” That was almost 20 yrs ago–how time flies! I remember that my friends were passing thru the area, but I do not recall the fact that they mentioned the group, 4HIM. Isn’t it funny how every person’s details of memories are a little different? Now that you mention it, I do remember that… Those were my free speaking with out thinking days… But at least here it worked. When will you guys be in again? We do not know when we will be in again. Someone will be coming back with our oldest who will be going to college in May–can you believe it???? ?